Neverwinter is a free to play Dungeons and Dragons 4th Edition based massively multiplayer online role playing game. Neverwinter is based in the city of Neverwinter where the 4th Edition rule set picks up in Forgotten Realms after the fateful Spellplague that changed the word as we know it. Here is a quick list of resources to help you get started with the free to play Neverwinter MMORPG. This should be your first stop if you are wondering if the Dungeons and Dragons free to play MMO Neverwinter is right for you. Find out what I think of Neverwinter and how it fits into both Dungeons and Dragons and the vast selection of other MMO’s out there. There are the classes that a player can play in Neverwinter. These are the iconic characters in Dungeons and Dragons 4th Edition versions that most gamers will already know, whether they know Dungeons and Dragons or not. There should be some class that will fit your gaming style. Check out the guides below to learn the ins and outs of each one to find the right one for you. Check out this quick overview of the Neverwinter playable classes. This is an in depth guide on a Controller Wizard in Neverwinter and how to make one that you will enjoy and how to play it well in the game. This is an in depth game guide on what a Devoted Cleric is and how to make one that will play well and be fun in Neverwinter. This detailed guide will help you learn what a Great Weapon Fighter is in Neverwinter. It will help you make one that is both fun and effective. This in depth and detailed guide will help you learn what a Guardian Fighter is and how to play this fun class well in Neverwinter. This detailed guide will help you discover what a Trickster Rogue is in Neverwinter and how to get the most out of this devastating but tricky class. Neverwinter by far has the most complicated economy that I have seen in a game. They have many different types of currency, used for different things, and some, not all, can be traded or sold back and forth. If you find the convoluted and confusing economy of Neverwinter as confusing as I did you might want to check out this player guide to make sure you have the many moneys of Neverwinter figured out. More Neverwinter Player Guides Coming Soon! I have a ton of other guides currently in the works. Please keep checking back to see what guides are added. You can also Like DDM’s Realm on Facebook or follow our Twitter feed @DDMsRealm for instant notification about new additions on DDM’s Realm. If you have any ideas or guides you would like me to write please let me know! I am trying to play Neverwinter on PC. I say “trying” because I am unable to choose items to pick up, pick up the items, equip an item, etc. I cannot interact at all. I use the I and F key binds, but they do nothing. 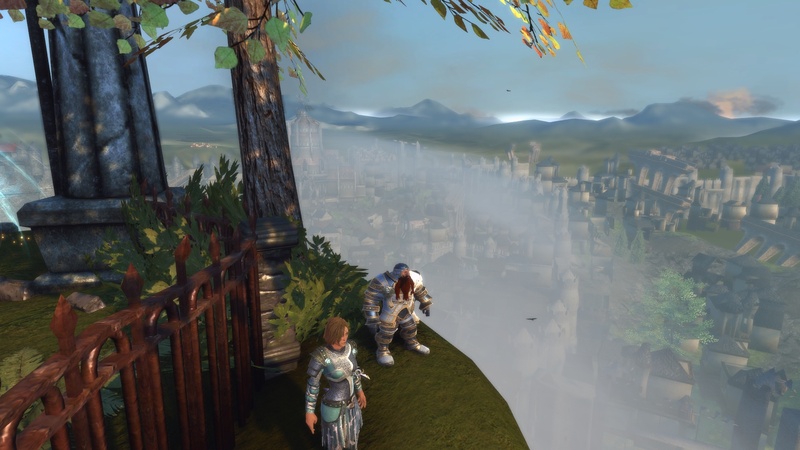 I notice there is no guide on simply interacting with the Neverwinter world. The developers say that is so players feel a sense of accomplishment, but after nearly a month I am more than frustrated. In the forums I was told to approach a crate on the beach, hit “I” and then hit “F” when the inventory screen opens. That was supposed to allow me to pick up and equip an item from the crate. Any help you would provide is greatly appreciated. Using a keyboard for PC the F key should interact with it. However you need to be “in the right place” It usually picks up the interactable well but not always. I have not had much trouble with this myself. Maybe try just making a new character. Maybe something is bugged in the one you started. Good luck!